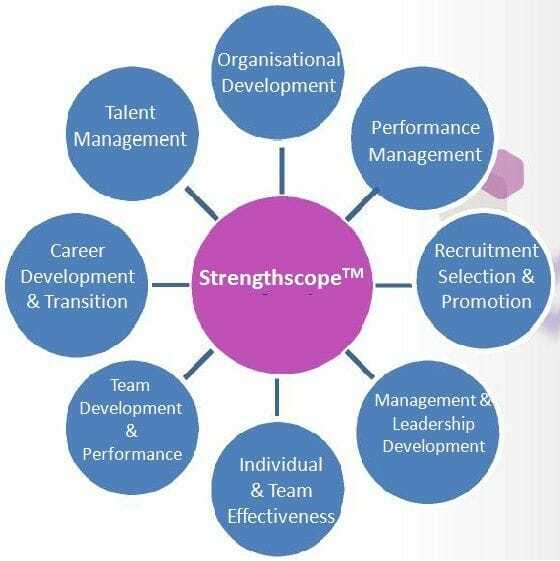 Welcome to Strengthscope a revolutionary assessment tool that provides a comprehensive measurement of an individual's or team's work related strengths and talents and the extent to which these are productively applied at work. Strengthscope - the the world's leading workplace strengths assessment tools. 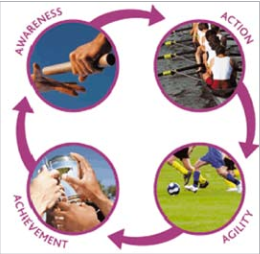 Enabling individuals, teams and organisations to optimise performance and engagement at work. How strengths can be used to deliver sustainable high performance. When to Use Strengthscope, Mike Miller, Director of U.S. Operations for Strengths Partnership, discusses opportunities for using strengths-based assessments, such as Strengthscope. StrengthscopeTeam Report. Dr Paul Brewerton, co-founder of Strengths Partnership on how StrengthscopeTeam report creates value for organisations. these can be used to optimise performance and engagement in the workplace. Or complete the form below to receive a Strengthscope Information Pack by email. We will also add you to our email list. Good question and one that's asked a lot. Strengthscope is all about the strengths of teams and team members. It asks a lot of questions and puts forward some very compelling arguments as to why, when and how we use our strengths at work. "I now know exactly what my strengths are (and there were a few surprises there)." "Now I know what it takes to push my hot buttons and energise me." "I now know what'll happen if I use my strengths too much or too little"
"I also know what the other people I work with think of how I use my strengths. I can work with that!" Based on years of professional research and scientific modelling, Strengthscope has become a vital assessment tool for organisations that really get it when it comes to developing their teams that ultimately drive their performance. Strengthscope can be purchased by contacting Talent Tools. Once payment is received, individual IDs or a project ID will be allocated to you. You then invite participants to complete the questionnaire at www.strengthscope.com. The questionnaire will take around 35 minutes of your time to complete and should be completed in an environment with as few interruptions and distractions as possible. We will monitor completion rates and remain on hand for any support required. You can decide whether feedback reports should be sent to you or direct to participants, along with a debrief preparation questionnaire and an FAQs document to answer any immediate queries they may have. You then arrange separately for participants' feedback sessions. Our Accreditation Workshops enable you to process profiles and deliver feedback to employees/clients direct fromyour own Online Strengthscope Account. This is not only cost-effective, it also embeds and 'internalises' the strengths-focused approach into the organisation. The accreditation also provides access to a growing range of additional support tools and guides. To ensure certification is achieved by all participants only 8 places are available for each session. Reserve Your Place Now! Want to know more about Strengthscope? To Purchase Strengthscope Reports . . . Simply call Talent Tools on 1800 768 569 or outside Australia on 61 7 3103 0177 or email us, and we will provide you with IDs to access the online questionnaire. "The combination of coaching focused on building strengths has produced the most significant improvements that I have seen from a candidate on a management development programme". "At Aviva, our approach to talent management is all inclusive. We believe that each and every one of our employees has talent and that development plans should be tailored to individual needs. Strengthscope is proving to be an extremely effective way of enabling our future leaders to understand where their skills really lie and how to capitalise upon them". "It is an excellent developmental tool - it starts with the positives of 'now' and can then be used to focus on future development, using present strengths to help this development. It has also allowed employees to look outside their present role and consider future roles in relation to their strength profile. Everyone left the sessions feeling very positive about themselves and their ability to develop further. They have also openly stated how useful it has been." "Although I am very familiar with my strengths, I had not previously considered them in terms of those that really drive and inspire me. I discovered a new and very important perspective on which of my strengths I need to use to maximise my energy and motivation." "In all cases, it has 'lifted' and motivated the individual, focused on what energises them, has given them an insight to potential routes for Personal Development Planning and in two cases, the client would like to explore the use of Strengthscope further within their own teams." "Very positive, very well received indeed I have used as part of a confidence building away day for staff to reflect upon how they can use their strengths to overcome some of their development areas and how they can use them to fulfil the forthcoming business objectives within their organisation"
"The accreditation day was exceptional in giving practical experience of feeding back and receiving feedback on Strengthscope as well as learning more about the strengths-focused approach. The training gives a much deeper understanding of the tool and the best techniques for a positive and purposeful exploration of strengths." "Very positive and useful day"
"Very engaging; depth of knowledge; responded to group; thought provoking"